Suppose your cat ingested some old food or something infected, now your poor kitten is ill. Fortunately, this isn’t the end of the world as there are medications out there that can help alleviate the symptoms and cure it altogether! Remember, regardless of the different kinds of cat breeds, any cat or animal can fall victim to bacteria in the inside. Amoxicillin is one of the most commonly used drugs in the world prescribed to treat bacterial infections. It’s every bit as effective in animals as it is in humans, but finding the correct information about its use in household pets can be tricky. Remember to give your pet the full course of medication as stopping at the first signs of improvement may lead to the infection becoming worse again. The veterinarian will be able to recommend the length of time you should administer the drug for, depending on the circumstances and severity of the infection. Again, Amoxicillin is an antibiotic for cats and dogs, which restrains the formation of bacterial cell walls leading to treat a wide range of bacterial infections. Veterinarians typically prescribe amoxicillin for cats suffering from bacterial and other infections such as skin infections, urinary tract infections and ear infections. It might be prescribed for infections other than the ones listed. 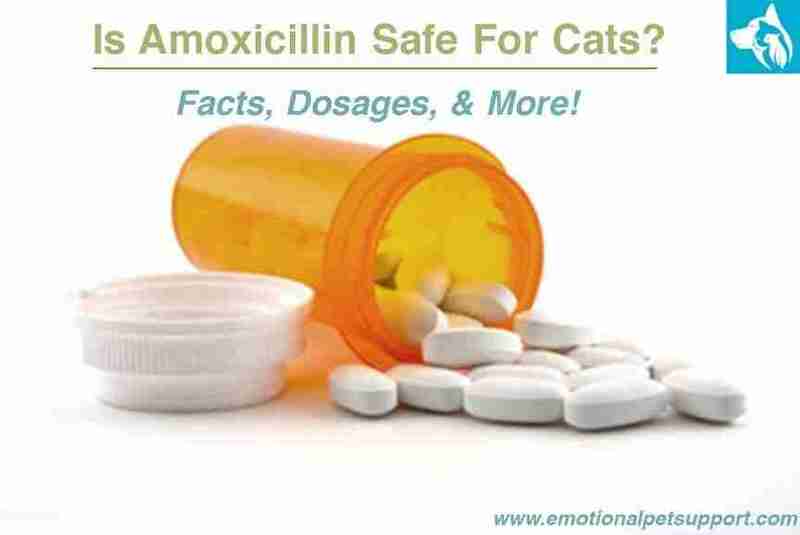 When used correctly under veterinary guidance, amoxicillin is a safe drug for use in cats. But, you will need to test your cat to be sure of a bacterial infection and be wary of the possibility of a penicillin allergy. It is always better to be safe than sorry when dealing with medication for your pets. Side effects of amoxicillin use includes loss of appetite and gastric disturbances such as vomiting and diarrhea. Other side effects which indicate an allergy and require emergency medical attention includes swelling, rashes, rapid heartbeat and difficulty breathing. Furthermore, Vetinfo states that your cat might have dangerous complications if this medication is taken concurrently with other drugs. 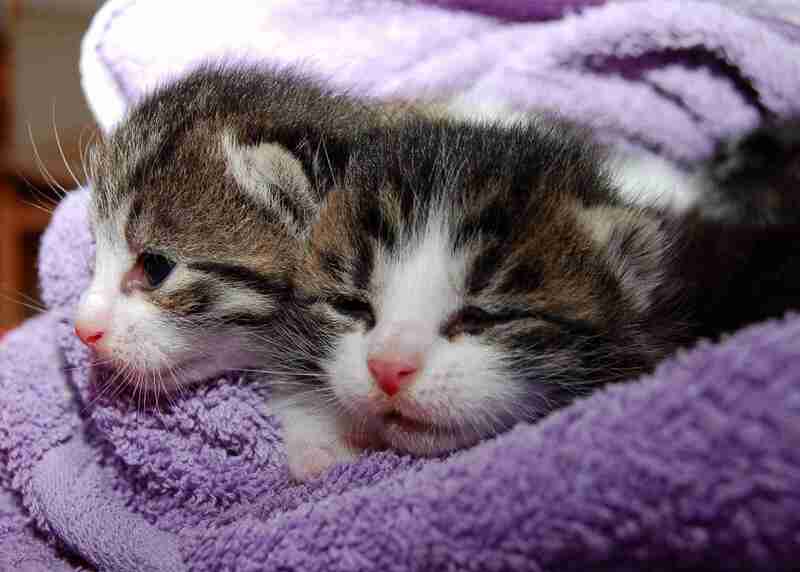 Typically, you will need to give your cat 5 mg per pound once a day, most commonly ending at a maximum dosage of 50 mg for all sizes of cat, depending on circumstances. As an example, a 5 pound cat would need 25 mg of the medicine a day. The length of time your cat will need to take the drug for is highly variable and so you will need the advice of a trained vet prior to use. Do not give this drug to your cat unless you’re certain there is a bacterial infection, and have no reason to believe your pet has an allergy to penicillin. As an antibiotic, amoxicillin is only useful in cases where a bacterial infection is present, therefore you will need a veterinary diagnosis prior to use. Usually regular amoxicillin in tablet form will not be very suitable for your pet, you will likely need to use Amoxi-Tabs, made specifically for animals, or use the liquid form of the drug in order to get an accurate dosage. According to PetMD, it is important that if you miss a dose, skip that dose and do the next dose. Do not give your pet two doses to compensate for the missed one. It is also important to be as consistent as possible when following the dosage timetable. Because according to the World Health Organization one of the biggest threats to global health is antibiotic resistance! If this is the first time your cat has taken antibiotics practice extreme care, especially on the first day, just in case an allergy to the drug is present. 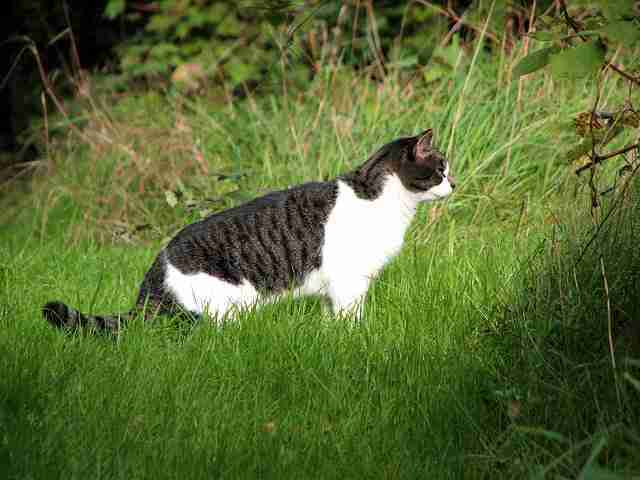 If your cat appears to begin struggling to breathe or goes into shock. Also look out for other signs of an allergic reaction such as swelling, rashes, and rapid heartbeat. If you notice signs of allergy seek emergency veterinary care. DISCLAIMER: We are not medical doctors therefore we cannot give medical advice. The information presented within this article is not presented with the intention of diagnosing or treating any disease or condition. This information is for educational purposes only. No responsibility is assumed by the author nor anyone connected with this website for the use of this information and no guarantees of any kind are made for the performance or effectiveness of the recommendations provided.